Comfortably tough. 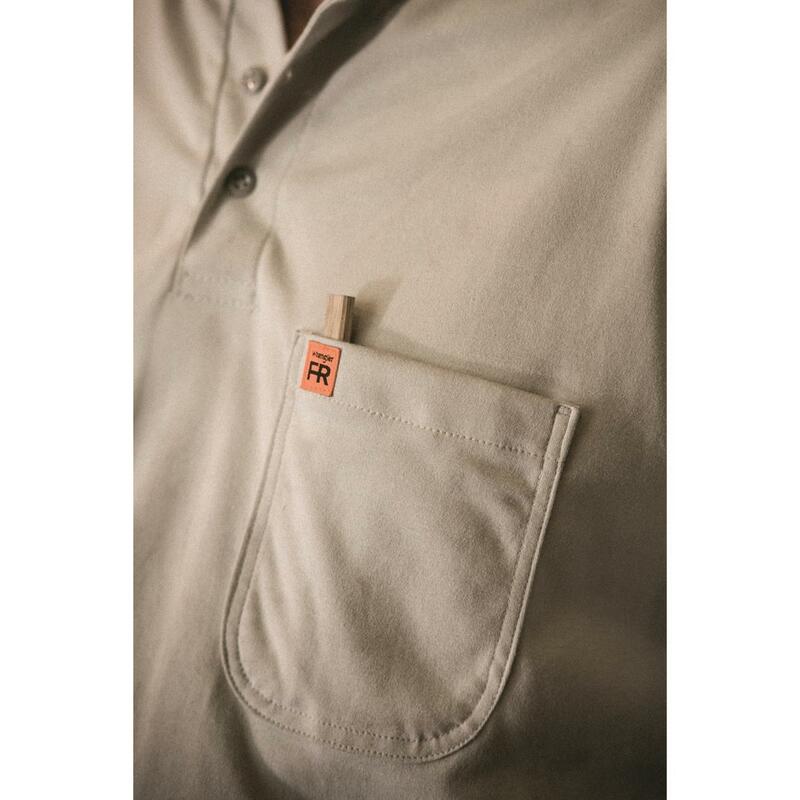 That's what this relaxed-fit cotton Shirt is all about. And that's just what you want when hauling stuff around the shop. 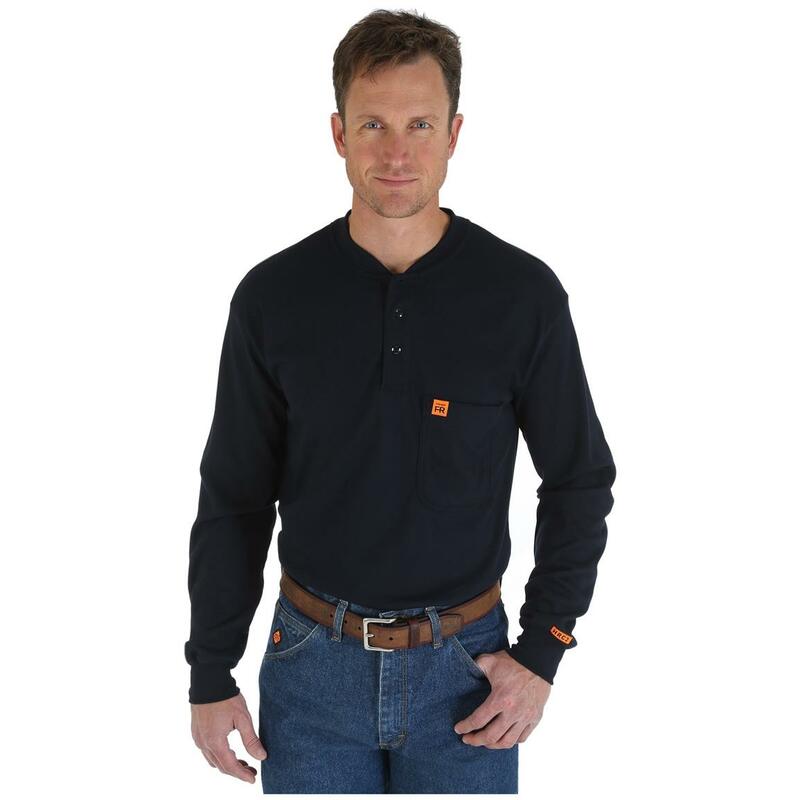 But when the sparks fly—literally—this shirt has Hazard Risk Category rating of 2 along with other safety classifications. 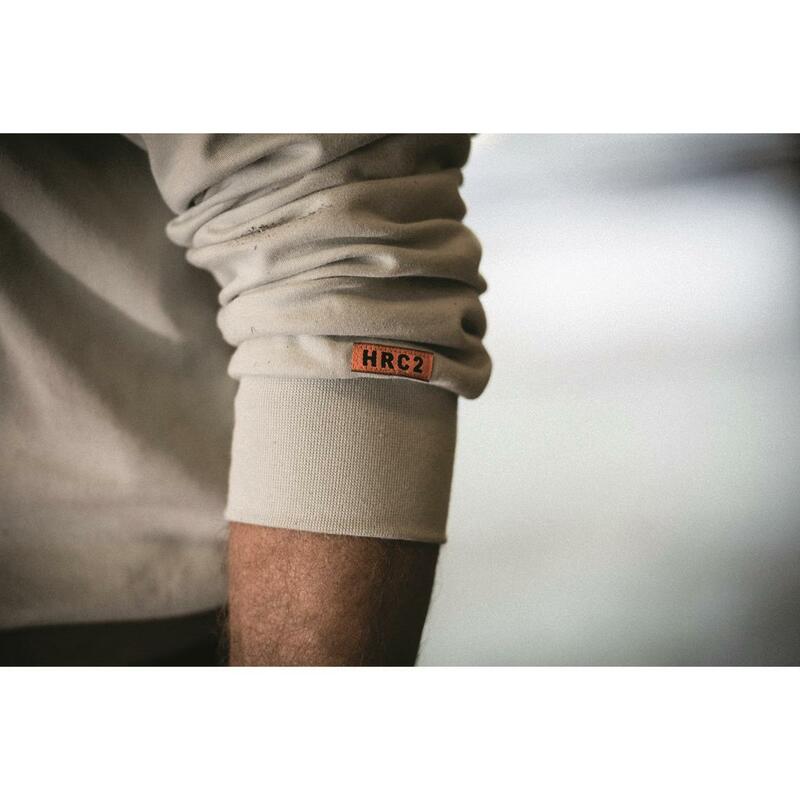 So you reduce the risks of burns while keeping comfortable and focused on your work. Designed to self-extinguish to effectively prevent or greatly reduce the severity of burn injuries. Looks great, too. 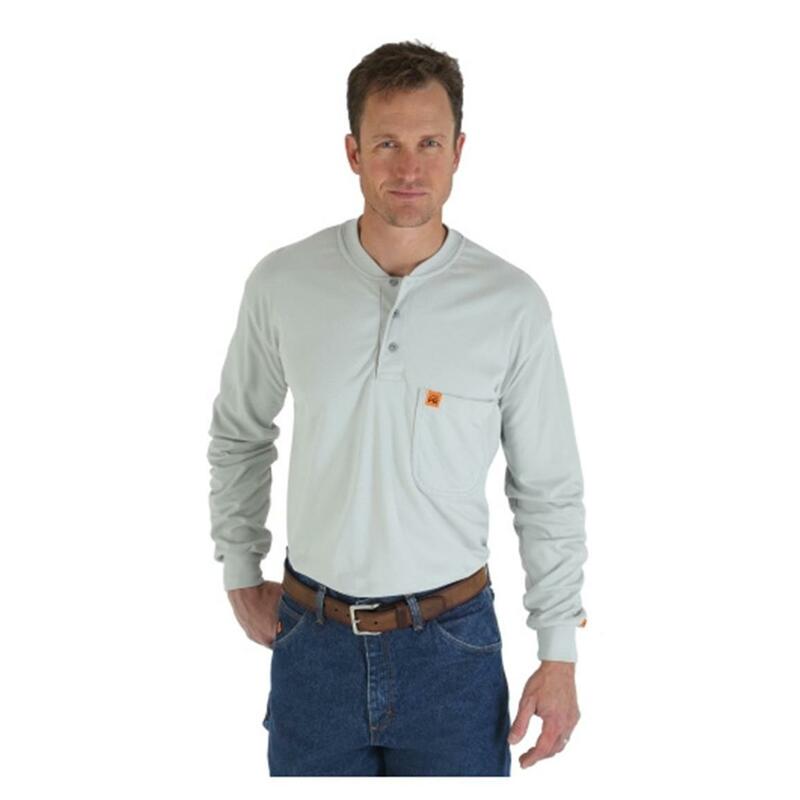 Get this FR Henley Shirt from Wrangler® today! Wrangler FR Flame Resistant Long Sleeved Henley is rated 4.0 out of 5 by 1. Rated 4 out of 5 by JasonV2003 from FR light weight shirts are great! I work in a oil refinery and have to wear FR all day. This is the only shirt that I have tried that I actually like. I work in the field of safety and it is great to be able to look business casual and yet still be able to go out in the field and work as well instead of putting coveralls on and off a hundred times a day. 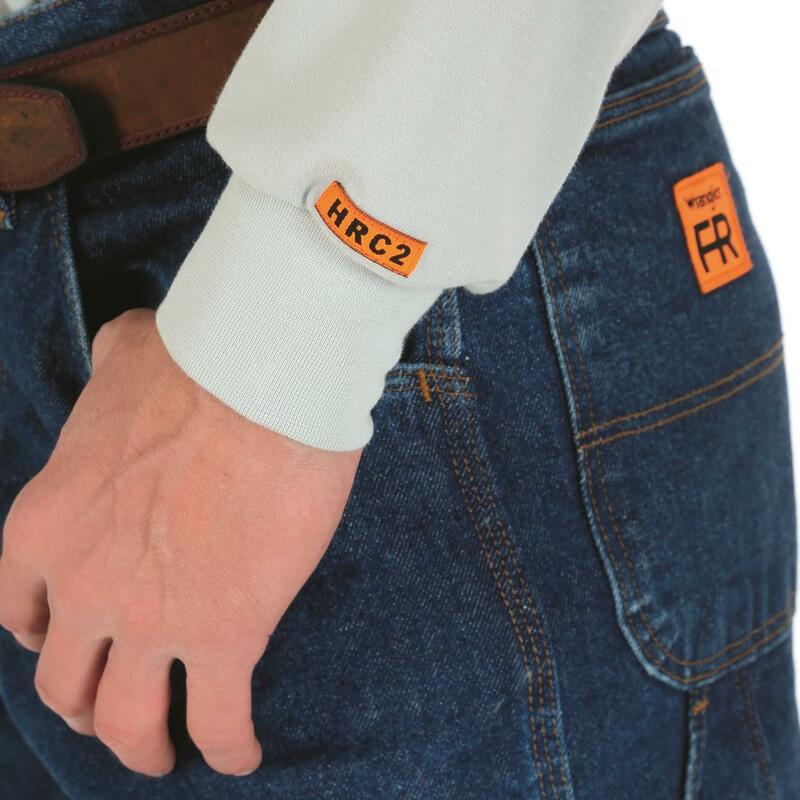 if you are in management and in a field that requires FR, you can't beat Wrangler shirts...PERIOD. There is nothing on the market that can compare!